An expert shares strategies for sustainable purchases. As our collective cultural conscience is raised about what we put in our bodies, high-performers are demanding deeper knowledge about how we dress them, as well. Paulina Szmydke-Cacciapalle, contributing fashion writer at WWD and author of the upcoming book, Making Jeans Green: Linking Sustainability, Business and Fashion, is a sustainable fashion expert. Below, she briefs us on the emerging intersection of sustainability and athletic wear and how we may come to outfit our fit bodies in the future. In what ways is activewear harmful to the environment? Activewear depends heavily on synthetic fibers such as polyester, spandex, acrylic or nylon. Since synthetic fibers are derived from oil, a non-renewable resource, they consume a great deal of energy and require hazardous chemicals during manufacturing. They also release ‘micro-plastics’ into rivers and oceans—these small particles cannot be industrially filtered, so get digested by aquatic organisms with potentially toxic results. Studies indicate that these particles can travel back through the food chain, eventually ending up on our plates. I want to be ethical and keep my athleisure lifestyle? What do I shop for? Alternative fibers. Tencel, like polyester, is man-made but from renewable cellulose. It’s super gentle to the skin, breathable, prevents bacterial growth and thus bad odor, thanks to its high water absorption. In Europe, hemp is slowly coming back. It is extremely robust, grows fast and has great moisture wicking abilities. Vivienne Westwood is a fan—on as well as off the catwalks. And we are seeing wool having a revival. Historically, all sportswear was done from wool. Some brands such as The White Briefs or Shift to Nature have welcomed the fiber back into their collections in a modern, comfortable way. Stretch in many instances is an aesthetic statement, not a necessity and doesn’t recycle well. A kinder stretch fiber today is Sorona stretch; it’s partly derived from corn, a renewable source, though it still contains polyester. In swimwear, Econyl is a new nylon fiber made from recycled fishnets that can be regenerated over and over again without any loss of quality. [Surf champion] Kelly Slater is among those promoting it with his brand Outerknown. You mentioned chemistry. 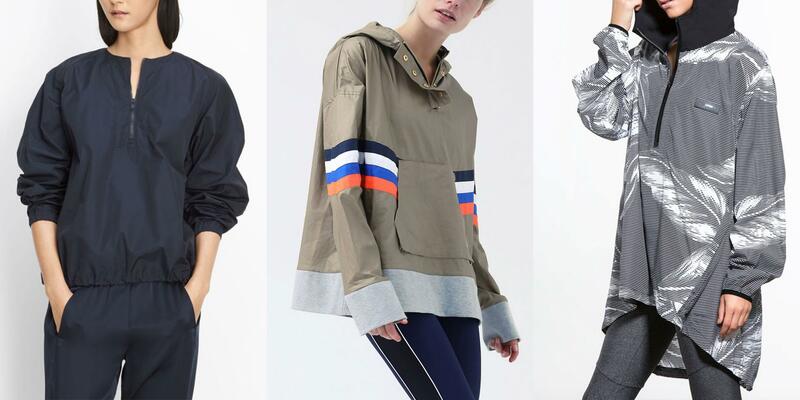 In what ways can the activewear industry up its game? Activewear is often treated with such fun extras as “anti-microbial” or “water-repellent” coatings. These often involve hazardous substances, so it’s imperative to opt for safer alternatives. Take a look at a brand’s website to see if it is a team player. Is it part of the Zero Discharge of Hazardous Chemicals (ZDHC) initiative? Is its chemistry GreenScreen certified? As a consumer, you need to push brands for those answers. What would the fashion industry look like in an ideal world, say, ten years from now? What is currently happening in biotechnology, AI and advanced robotics is very promising. Green chemistry is already available, it just needs the will of brands and retailers to make a quick segue to the shop floor. In an ideal world, we would consume less and keep our clothing longer. We would produce smaller batches closer to home, reducing our carbon footprint, which is horrendous in fashion. The clothing would be dyed by bacteria or left naturally undyed. Also, in ten years from now, hopefully, technology will be advanced enough to take recycling to the next level, keeping ingredients in a closed loop instead of fueling the currently linear system which is in total overdrive.